GreenRush is a weed delivery service that delivers Cannabis directly to your door. They are just one of the companies that have rushed to fill the on demand marijuana delivery needs. Customers who can’t or don’t want to leave their house now have an easier way to smoke. 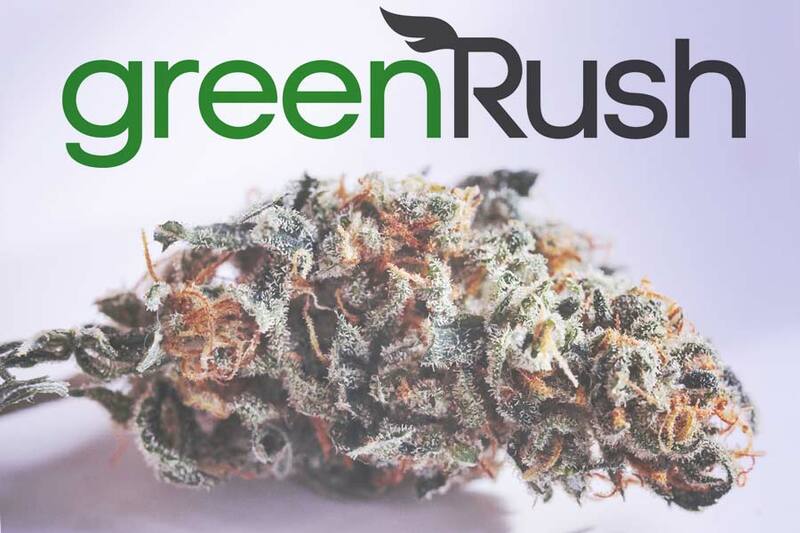 Read about GreenRush Weed Delivery and learn why customers love this service. No time to read the whole review and just want a discount? New users get $80 off with the coupon code HAPPY80. Existing users use the code MAYSUCK8 for $8 off $100. GreenRush is one of the largest on demand weed delivery services in California. They service over 800 zipcodes, covering an enormous amount of areas. If you are looking to get Weed Delivered, there is a good chance GreenRush will deliver to you. The GreenRush service is pretty easy to use. Customers can sign up through the GreenRush website to make an account. You can check on the GreenRush website or on the tool below to see if they deliver medical marijuana to your location. Once the account setup is complete, it’s time to choose the marijuana products. GreenRush has almost everything you could need to smoke. They have Vapes, Concentrates, Edibles, and tons more. Don’t let the sheer number of options overwhelm you. Add the product you want to your cart and head to checkout. 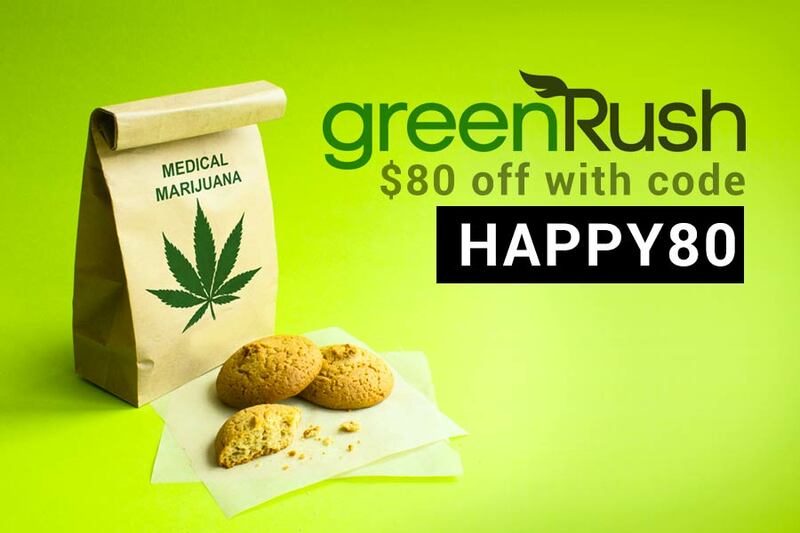 It’s necessary to enter the GreenRush promo code HAPPY80 to get $80 off! ($20 off the first order and $10 off the next 6 orders.) The next step is to buy your cannabis after the discount has been applied. Your Weed is on the way! GreenRush sends your purchase information to the dispensary. That dispensary then sends a driver to your location, often in under an hour. You will need cash to pay the driver so make sure you have the amount on you. Every driver we have spoken to has been informative and helpful. They do go out of their way to ensure you know everything. If you have any questions, we recommend asking the driver first. If they help you a lot, why not give them a small tip too. It sounds crazy, but getting weed delivered is that easy. The only catch is that customers need to be living in a city with weed delivery. If you live outside of a city, you might need to have your Cannabis shipped to you. Our favorite service is True Farma which can ship medical marijuana through the mail to your location. True Farma is offering 25% discounts for now as they are trying to grow. GreenRush weed delivery is quickly becoming one of the biggest delivery services in California. If you live in a big city, there is a good chance they deliver marijuana to you. Give GreenRush a try and see how easy weed delivery can be.